Greenovation Research Group conducted two workshops at Universitas Aisyiyah in Yogjakarta from 8 to 13 July 2018. This is CSR of the research group which led by Prof Ismail Said. 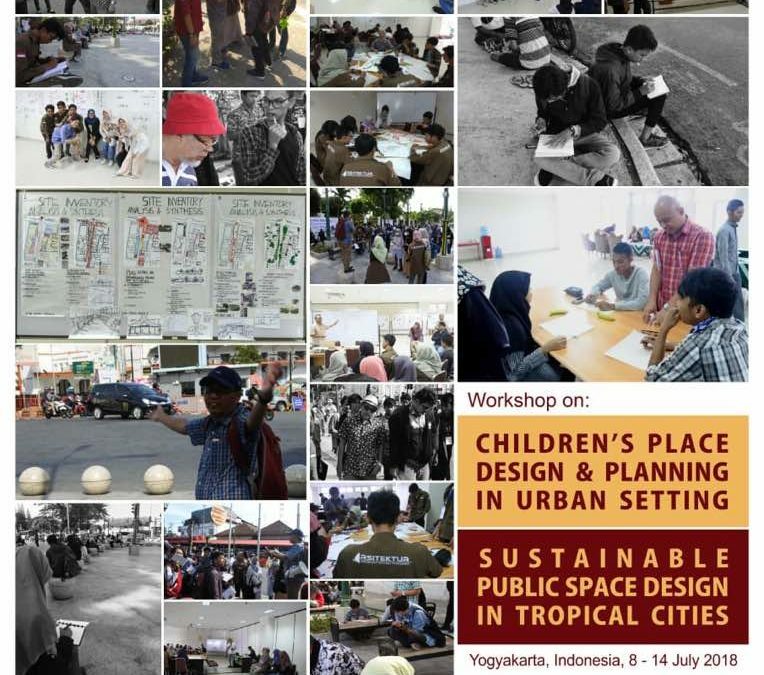 Workshop 1 was on Children’s Place Design and Planning, Workshop 2 was on Sustainable Public Space Design in Tropical Cities. Greenovation team comprised of (1) three academics, Ismail Said, Hisyam Rasidi and Nur Syala from USIM, (2) three PhD students from UTM and UITM, and (3) Nurashikin Yasin as graphic illustrator. Thirty students from Dept of Architecture Universitas Aisyiyah participated in the one-week long program. This program was a prelude of collaboration between UTM and UNISA.